We’ll meet near the Snail’s Pace store at 6:00 p.m. We gather in front of the In Flower floral shop (1050 E. Imperial Hwy in Brea), which is located between Snail’s Pace and Lascari’s. 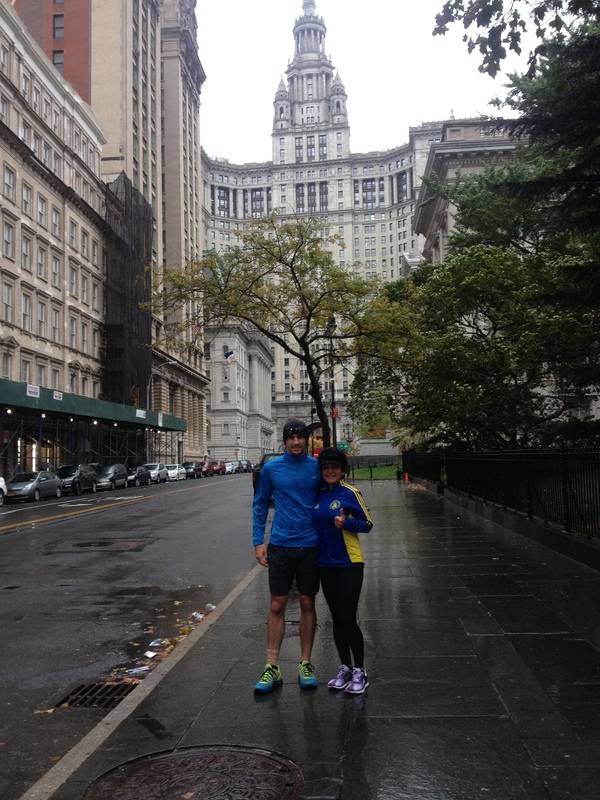 NYC Marathon: CONGRATS to Travis and Judy on completing the NYC Marathon this past Sunday. Travis finished in 3:52:31 and Judy in 3:57:10. Travis said it was a great race and he loved the course! There were spectators 3 to 4 deep all along the route the entire race, except on the bridges. He sent us a pic of their “shake out run” the day before the race on Saturday in the rain. They ran from Canal and Sixth across the Brooklyn Bridge and back. If you have any old running shoes or tech clothing that you no longer wear…please bring them to one of our runs. We can donate them to the Up and Running Again group.